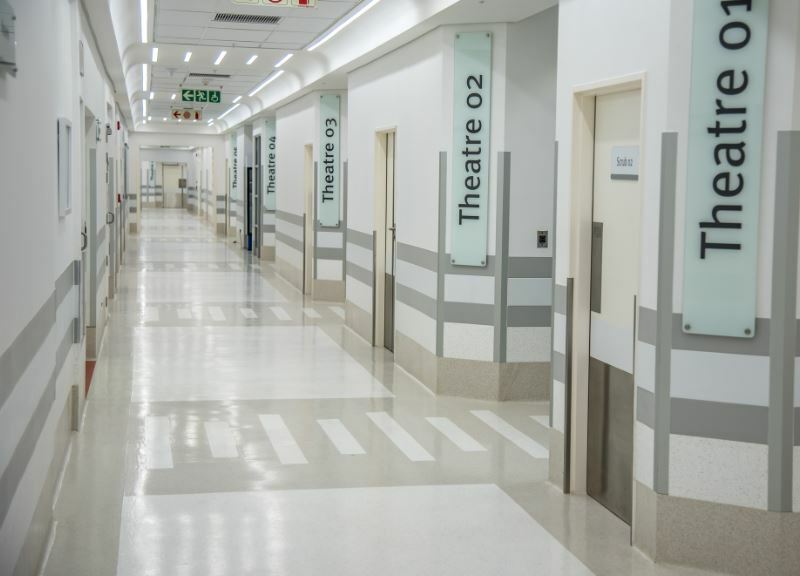 The flagship Netcare Christian Barnard Memorial Hospital in Cape Town was built on the tract of land formerly used as a parking area by Media24, between the Artscape Theatre and the Cape Town International Convention Centre (CTICC). The new hospital complex boasts 250 beds, state-of-the-art theatres, doctors’ surgeries and consulting rooms, linked retail, a gym, and a parkade. TAL supplied flooring underlayment materials through Penta Flooring and Kalley Flooring, who were the appointed installers of the vinyl floor finish. “These two contractors levelled several thousand square metres of floor to achieve the smooth and level surface required for the installation of the Polyflor Vinyl Sheeting. Key components to the flooring installation’s success were the use of specific TAL products, namely TAL’s VaporStop HB vapour barrier and TAL Screedmaster,” says TAL Technical Consultant, Matthew Medhurst. The project team suspected high moisture levels within the concrete slabs, which led to the specification of TAL VaporStop HB, which is a moisture tolerant vapour barrier. Not investing in a product such as this would have hugely impacted the success and longevity of the vinyl finish as high moisture levels in the substrate adversely affect the performance and integrity of polymer-modified underlayments and vinyl overlayments. After the flooring was prepared, TAL Screedmaster was installed. The self-levelling characteristics of this material ensure a totally smooth and level surface. Another advantage of the compound is that the installation time is minimal, which ensures a fast turnaround on the project. “We are proud to be associated with this flagship project,” concludes Matthew. For more information, contact Tal on Tel: +27 (11) 206 9700 or via www.tal.co.za.